By mid-January most students have applied to their schools, sent in their test scores, gathered their letters of recommendations, and filled out their financial aid information. For these students the next few months is a time of relaxation and of anxiety as they wait for decisions to be made. But what if you, or your student, are just starting the process? This is not as uncommon a situation as you might think. Many students are re-taking the SAT or ACT in order to get their scores up, others are waiting for first semester senior grades to boost their GPA, and some are waiting on a letter of rec. In fact there are plenty of viable and understandable reasons for applying to college late. If you are in this situation you may be wondering if, at this point in the year, is it too late to get started? Are there any schools still accepting applications? Is there still aid left? The good news is that it is not too late to apply and there are many schools that are still accepting applications. In fact there are still hundreds of schools all over the country with late deadlines. And there are hundreds of other schools that have rolling admissions which means they continue to accept applicants until there are no spots left. And if you haven’t decided on a school by May, the National Association for College Admission Counseling releases a list of schools that still have spots open for the fall. 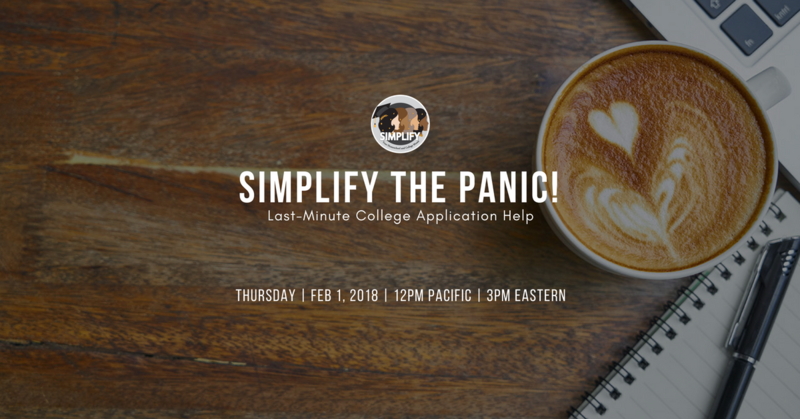 In addition there is financial aid available and in some cases there are scholarships still being awarded, but you need to get started on the process now and work quickly to get in your applications. If you haven’t filed the FASFA yet, you should do so as soon as possible. Some schools may also have a separate financial aid application that needs to be filled out or the CSS so be sure to check with each school’s financial aid department to see what needs to be done and what the deadlines are. Whatever your reason for starting the application process late don’t feel bad about it. There is still time to make your situation work and for finding the best school for you.